Starwood Hotels and Resorts Inc is a luxury hotel provider and a leisure company. The company through its subsidiaries has two business mainly hotels and vacation ownership and residential. The company has more than 1,100 hotels and resorts under its nine well known brands namely Sheraton (a luxury and upscale service hotels, resorts and residences), St. Regis (a luxury service hotels, resorts and residences), Westin (a luxury and upscale full service hotels, resorts and residences), Le Meridien (a luxury and upscale full service hotels, resorts and residences), Four Points (a select service hotels), Aloft (a select service hotels), and Element (a extended stay hotels). There are currently 1 consumer reviews about Starwood Hotels and Resorts available. Share your review. We arrived at 3pm on Friday, August 30 for our family reunion at the Element, Hanover, Md. The hotel was close to Ardundel Mills Mall and Maryland Live, it looked ok although an oddly shaped hotel. Upon check-in, I requested to be relocated to another floor because the room was next to the elevator. We had to wait for 30 minutes for another room, which was ok. I was told we had to wait because the room wasn't clean. The sheets in the room were dirty so we had to wait for another 30 minutes to get them to clean the room again.According to the website the hotel had a pool, what it didn't say is it was a shared pool with the adjacent/attached Aloft hotel. The pool was smaller then my backyard pool, indoors and wasn't open until 5pm on Friday. With a family reunion, a family birthday party and a wedding booked the pool was crowded as soon as it opened. The hotel told us there was a happy hour from 5-7pm so having been to the Aloft in NJ happy hour, we decided to go to the bar until our family events began. We were immediately told by someone at the Aloft hotel that the happy hour buffet was only for the wedding group, we couldn't use the pool table and we could only sit in one section of the lobby bar area. Later that evening another family member discovered they also had dirty sheets and were told no one was on duty for housekeeping so they slept four people in one bed, which was an unacceptable answer. When they complained and asked to speak with the manager they were told, he won't be in until 11am the next day. On Saturday, we came down for breakfast which we were told was until 10am. The staff started breaking down breakfast at 9:15am and when I asked if she would bring out the items that ran out, she told me no. After returning from a day out with my family, I showered for the evening events and discovered we were given towels with spots all over them, I called the front desk but never received clean towels, luckily I always travel with my own, just in case. Sunday morning was when I finally broke from the poor management of this hotel. I was walking down the hall to breakfast and saw a used condom on the floor. Now I didn't blame the hotel for this, it's what happened afterwards that I blame them. When I came off the elevator, I immediately told the front desk that there was a used condom in the hallway in front of room 517. The causal response made me know this wasn'tgoing to be addressed in a timely manner. I then went to breakfast and when I came back up to my floor after breakfast to my amazement the condom was still there on the floor. This was now a hotel management issue because they were aware of the problem. I decided to see how long it would take the to clean this up, well...2 hours after I reported the issue, the condom was removed from the hallway. The Element/Aloft Ardunel Mills could meet many people expectations but the lack of management oversight, horrible housekeeping and poor customer service makes this hotel a disgrace to the chain. Starwoods/Westin hotels needs to place this hotel on probation to clean itself up and send everyone to a customer service and hospitality training class or they will face declining bookings because of these issues. I will never stay here again. 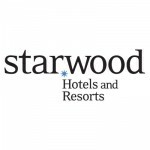 Please take a note that you are about to post a public review about Starwood Hotels and Resorts corporate office on CorporateOffice.com. This review will be public, so please do not post any of your personal information on this website. If you would like to contact the corporate offices of Starwood Hotels and Resorts, please use their contact information such as their phone number, website, and address listed above to contact them. However, sometimes staff from Starwood Hotels and Resorts headquarters do read the reviews on this website.